Joseph V. Kaplan Attorney Profile | Washington D.C. | Passman & Kaplan, P.C. Mr. Kaplan also served on the faculty of Central Michigan University, where he taught a graduate economics course on Collective Bargaining and Labor Law. He was twice elected as the National President of the Society of Federal Labor and Employee Relations Professionals (SFLERP) and is active in various professional organizations, such as the National Employment Lawyers Association (NELA) and the Washington Metropolitan Employment Lawyers Association (MWELA). 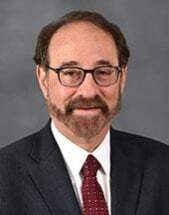 Mr. Kaplan has written a number of published articles concerning federal labor relations, and for six years was the author of the Federal Merit Systems Year Book, a leading reference book on the Merit Systems Protection Board, published by the Labor Relations Press. Moreover, Mr. Kaplan is the lead editor and co-author of the Federal Employees Legal Survival Guide, and is co-author of Litigating Federal Sector Employee and Labor Disputes: A Practitioner's Handbook by Dewey Publications. Mr. Kaplan has also served as a court-certified expert witness on MSPB procedures in U.S. District Court. In 2008 he was selected to be a Fellow of The College of Labor and Employment Lawyers, Inc.